At TrueCar, I was embedded with the Data Platforms Group. It was part of our charge to create products utilizing the company's industry-leading data, representative of the entire North American auto market, both to further entrench TrueCar in the industry, and to establish future revenue streams. 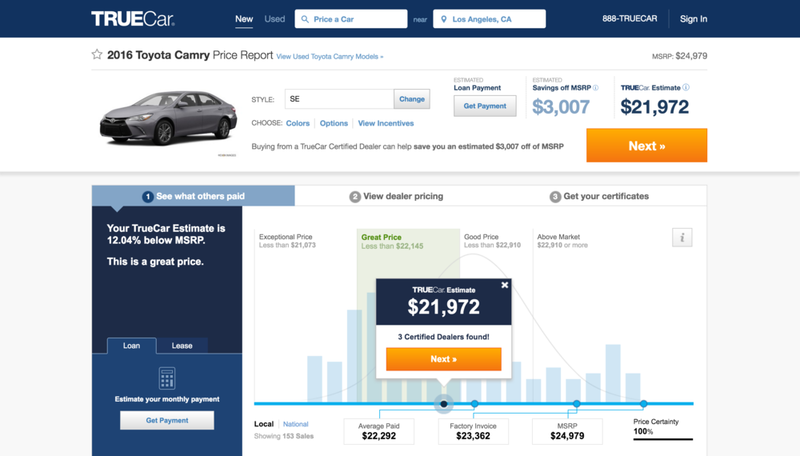 We also worked on enhancements to the current buyer and dealer products.